What a night! 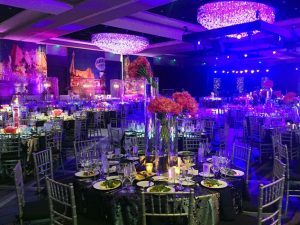 On Friday May 12, 2017 all the stars of the Houston scene were out to “Stir it up in Vegas” – the decadent theme of the Houston Symphony Ball held at the stunning Marriott Marquis Houston. The dazzling Sin City decor was created by The Events Company’s Richard Flowers. Our very own founder, Marshall Maxwell of Marshall Maxwell Entertainment Agency (MMEA) was there, stirring up the party-goers with his signature piano prowess. Here is just a taste of his Vegas stylings at this star-studded event. 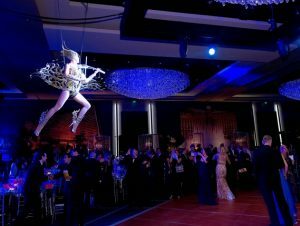 Also adding to the musical extravaganza and spectacle of the night was a mind-blowing performance from a violin-playing aerialist, a quintet of Houston Symphony brass musicians, and a lively performance by Las Vegas showman Frankie Moreno. The Jordan Kahn Orchestra provided the music at the after-party.